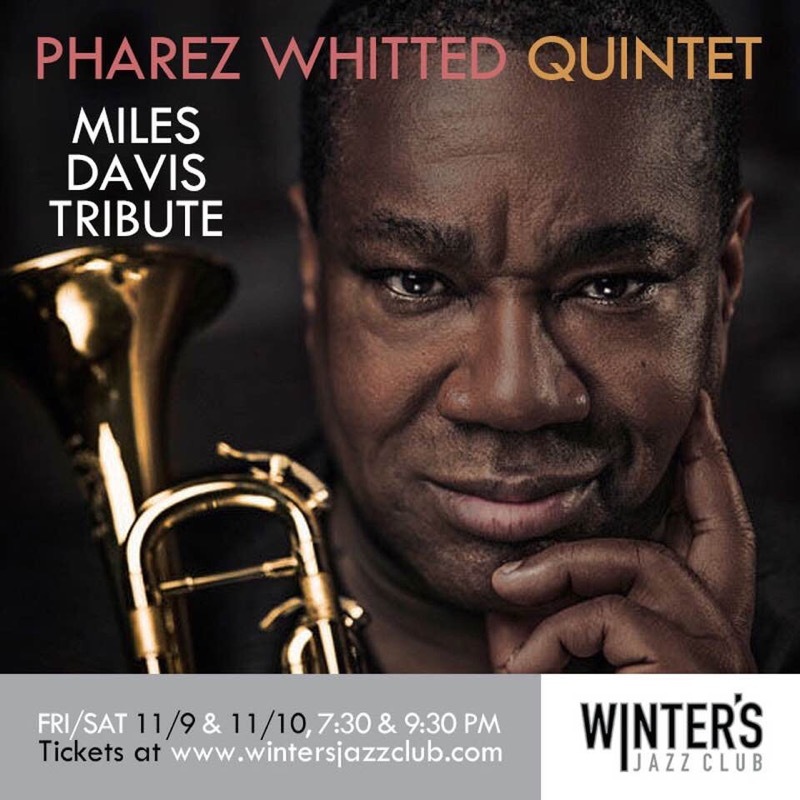 Join The Pharez Whitted group on October 27th as they perform new music from their upcoming album! 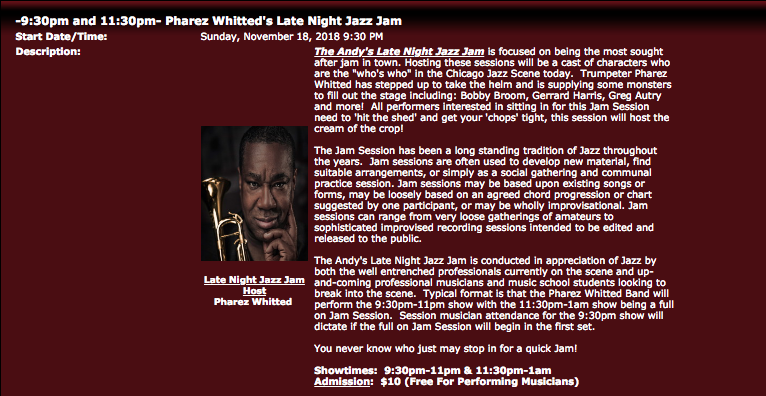 Join The Pharez Whitted Group as they feature new music for their upcoming recording! There are two nights to choose from or come through for both on Friday, October 13th and Saturday, October 14th. Join the Cerqua Rivera Dance Theatre (CRDT) and Pharez Whitted as a guest solist on October 5th & 6th at the Constellation Jazz Club. 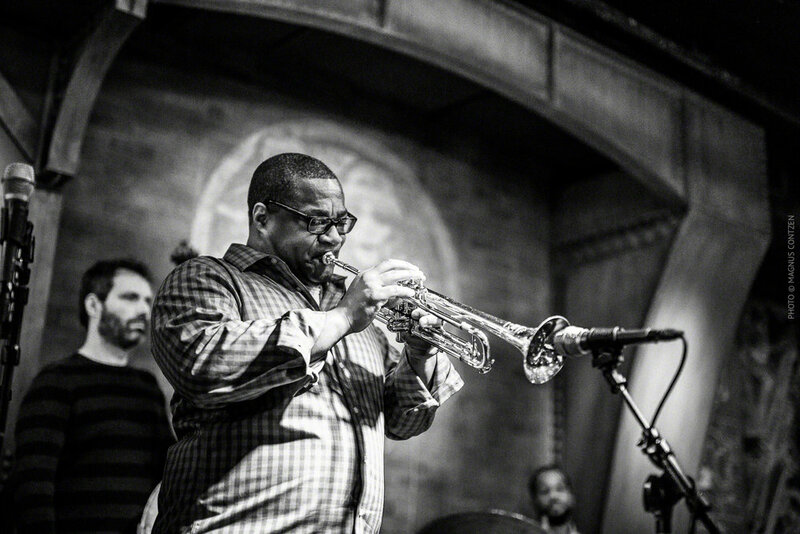 Join Pharez Whitted and Willie Pickens at The Green Mill on Friday, September 15th at 9pm and Saturday, September 8th at 8pm. Pharez Whitted - Winter's Jazz Club More information to come!